The Serious Fraud Office (SFO) has said it does not intend to launch a criminal investigation into the collapse of carmaker MG Rover. Its announcement comes a month after Business Secretary Lord Mandelson asked the SFO to study the results of a four-year independent report into the saga. Midlands-based MG Rover collapsed in 2005 with the loss of 6,500 jobs. The four executives in control of MG Rover, the so-called Phoenix Four, have always denied any wrongdoing. The SFO said that it could not comment about the reasons for its decision because the inspectors' report had not been made public. It will be released on 11 September. Lord Mandelson defended the decision to refer the matter to the SFO. "Now the report will be published, the fraud office having made their decision, and people can judge, in the light of that report, everyone's responsibilities," he said. For the Conservatives, shadow business secretary Kenneth Clarke called on the government to publish the report "as soon as possible". "My suspicion has always been that delayed publication of the report was being sought because of criticism of the government within it," he said. "I wait to see if my fears are allayed." The Phoenix Four - John Towers, Nick Stephenson, Peter Beale and John Edwards - came in for criticism after the firm's collapse when it was revealed that they had taken an estimated £40m in pay and pensions from the company. A spokesman for the directors said they had always maintained there was no basis for a criminal investigation as the question of fraud had never been raised. 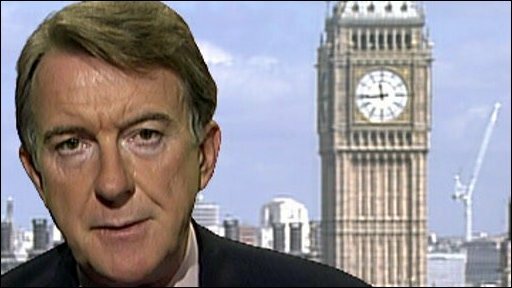 They were "flabbergasted" when Lord Mandelson referred the matter to the SFO, he added. "The decision to refer the matter to the SFO was the latest in a long line of bizarre and wholly unnecessary twists in the MG Rover story," the spokesman said, adding the directors had "very little faith" in the inquiry, and were sceptical whether the department would publish a final report that was "properly balanced and objective". "The directors and many others with an interest in MG Rover fear that anyone thinking that this inquiry will get to the heart of the matter is in for a disappointment." 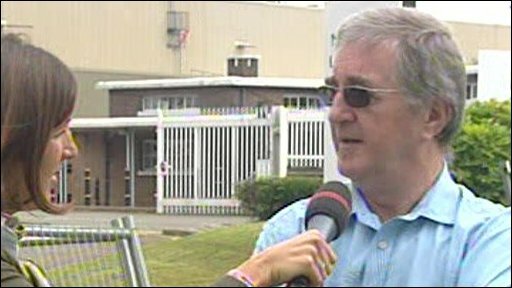 Former workers at the MG Rover plant in Longbridge, speaking to the BBC, said they had not expected great things from the inquiry. One of them, Stephen Gregory, said it had been a "shock" when MG Rover first went under, but he had since "moved on" and become a driving instructor. "As far as the report goes, I think it was expected," he added. "I didn't expect anything else to happen other than [that it would be] brushed under the carpet and we don't hear anymore about it." The study of MG Rover came after the completion of a four-year inquiry, costing £16m, by independent inspectors appointed by the Department for Business, Innovation and Skills. The Phoenix Four took control of MG Rover in May 2000 after buying it from previous owner BMW for a nominal £10. They also gained an interest-free loan of £427m from the German firm. They were eventually unable to turn around MG Rover's fortunes, and it went into administration under insolvency procedures in April 2005, with debts of more than £1bn. Its assets were subsequently sold in 2006 to China's Nanjing Automobile, which revived the MG sports car brand.